Burning Water — Jonah Ward::.. 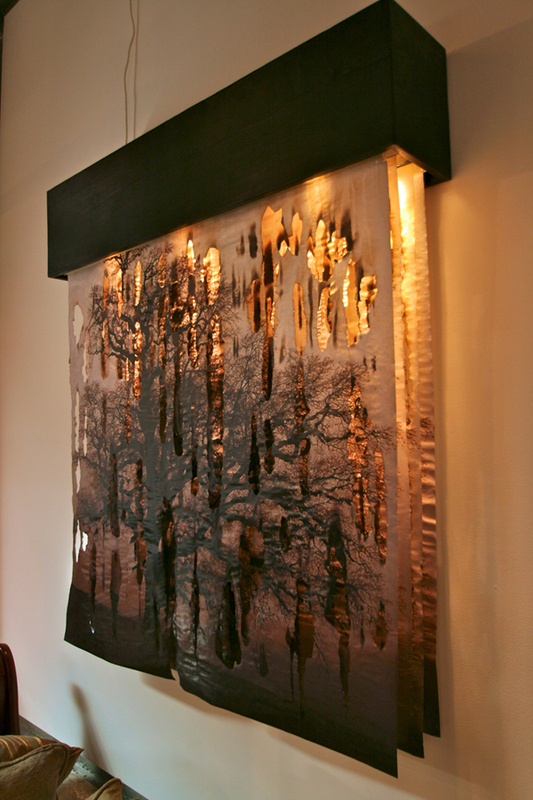 This series reflects another intense process using more natural materials; paper, water and fire. Jonah blasts fire at four separate sheets of paper masked by streams of cool water, orchestrating a battle between these opposing forces. The aftermath is a composition of beautiful destruction-a moment Jonah describes as "controlled chaos frozen in time". The paper is then hung under a light box with the most burnt piece of paper in the front allowing you to look through the different layers, ultimately creating an entire image as you step further back. View selected images in the slideshow below. See a video of the process on the video page here. 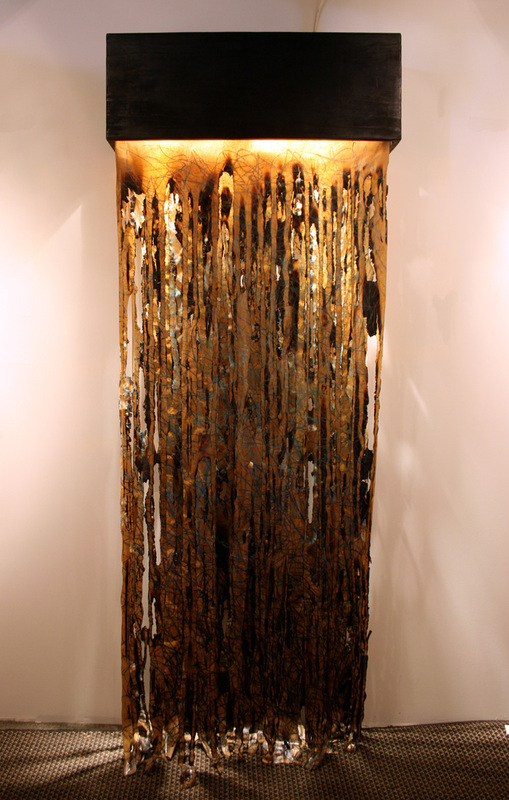 30" x 83", 7" deep, 2009. Burned paper with oil pastels. 14" x 86", 9" deep, 2009. Burned paper with oil pastel. 48" x 50" x 9" deep, 2011. Mixed media. Close-up of details and layers. Close-up details of layers and oil pastel.